Waverly Stratford Check fabric in the Sunshine colorway. 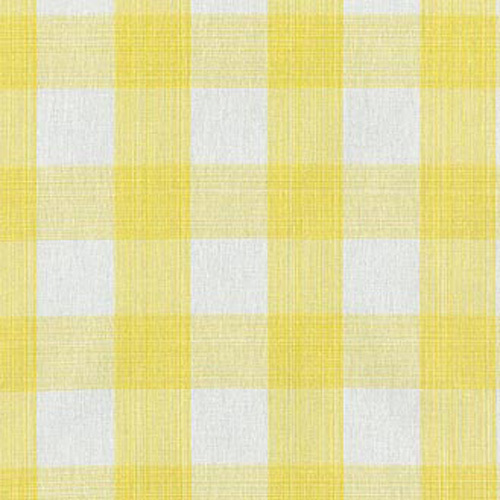 Yellow and ivory buffalo gingham checks. Suitable for drapery, decorative pillow covers, headboards, crafting or other home decorating projects. Each check is approximately 1.5" by 1.5"
Q: I am recovering a couch and would like to get a sample of this material. Is that possible?